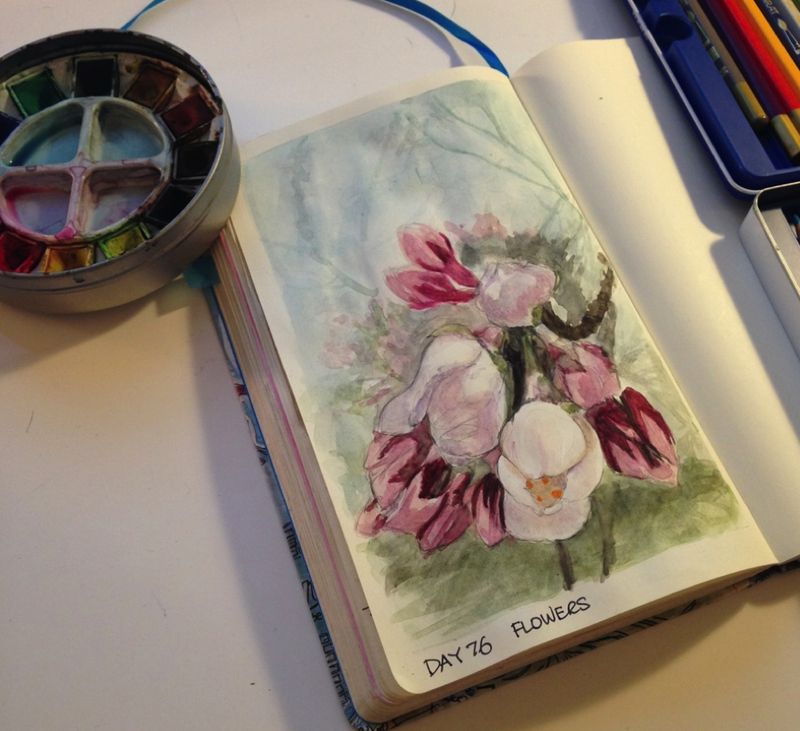 The challenge today was to draw flowers in bloom. We're still a long way before the flowers bloom in Toronto but I'm looking forward to go see them at High Park this spring. I've heard a lot about them and I can't wait to go sketch them.